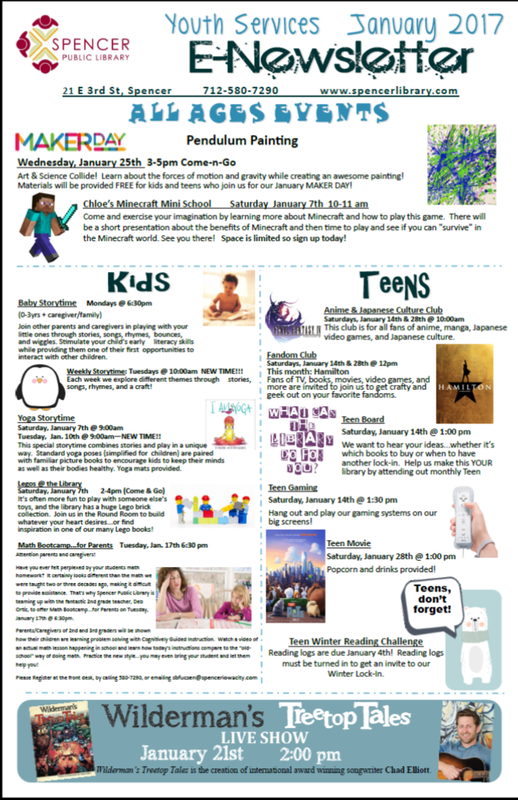 News at Spencer Public Library: 2017 Is Starting Off With Lots Of Fun! 2017 Is Starting Off With Lots Of Fun! Happy New Year! There is a lot going on at the library this month, so be sure to read the attached newsletter carefully. There will be a math class for PARENTS, a lock-in for teens who have qualified, and a live concert with Chad Elliott...plus much more! We hope you see a lot of you in 2017!